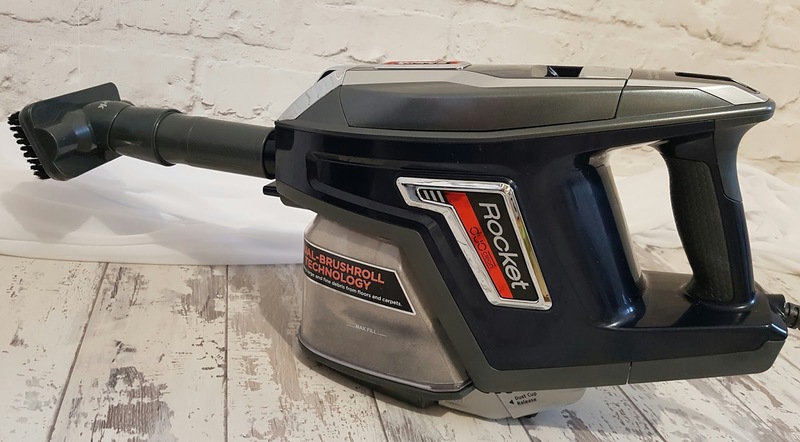 It's not everyday electrical appliances feature here on my blog...in fact I reckon that this has got to be the very first time it has happened. 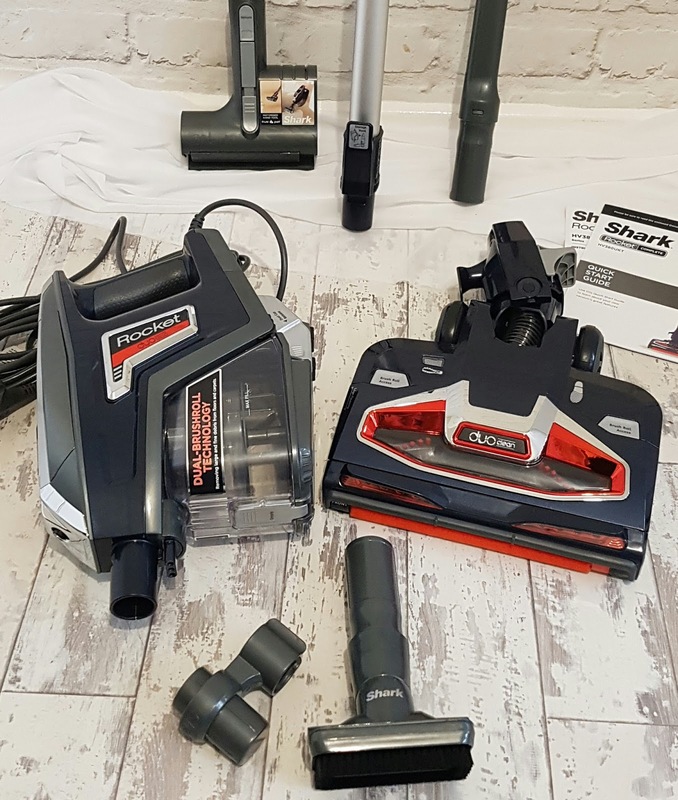 Shark Clean UK contacted me recently to ask if I would like to try out their newer than new appliance and let me tell you, it was as though Christmas had come early. 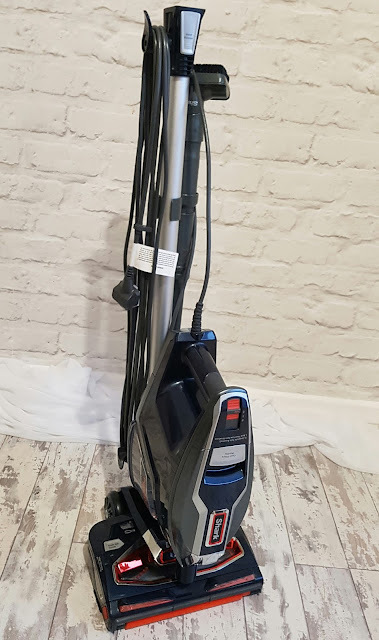 Look - come on - I'm a thirty-three year old Mum of two with a home to keep clean, a baby who spends the majority of her time crawling around the carpets and the hoover I had seemed to prefer spitting out dust rather than getting rid of it. I wasn't fun in the slightest, so yes, I am allowed to be overly giddy about this delivery. Now Shark Clean UK are a Wakefield based company but they actually operate within Europe, America and Canada too. And - as you may have gathered - they provide a vast array of efficient, electrical appliances perfect to fit in with, and make easier, uber busy lifestyles. 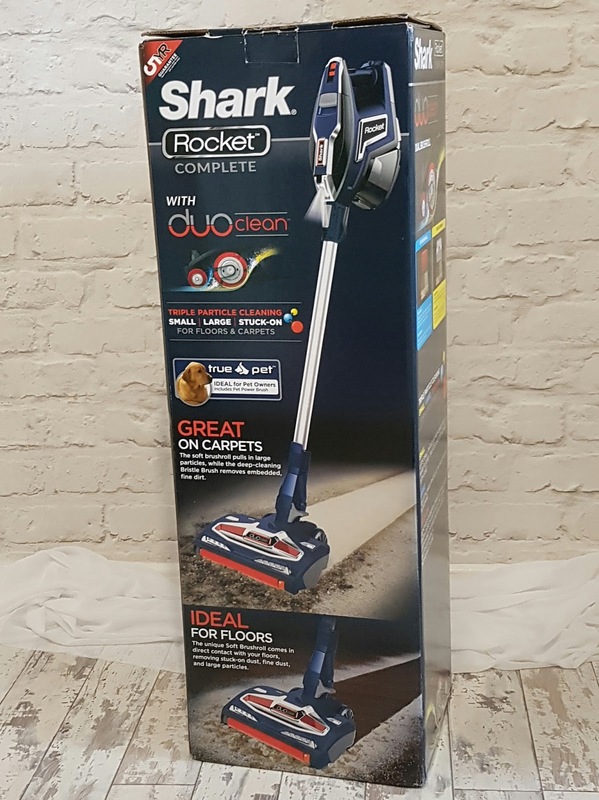 There is no large, dirt collecting compartment or huge chunky handle, the Shark Rocket Complete gets all of it's vacuuming capabilities from the small, hand-held section at the top. 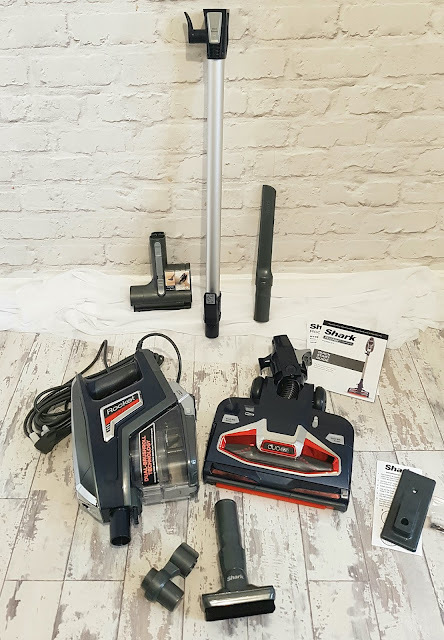 This is it's main power section you see - the hoover wand attaches to it and with a simple press of a button it is fully assembled, literally in seconds. It felt almost as though it had a life of it's own as it swivelled around corners, taking the bends between my sofa and coffee table really easily. 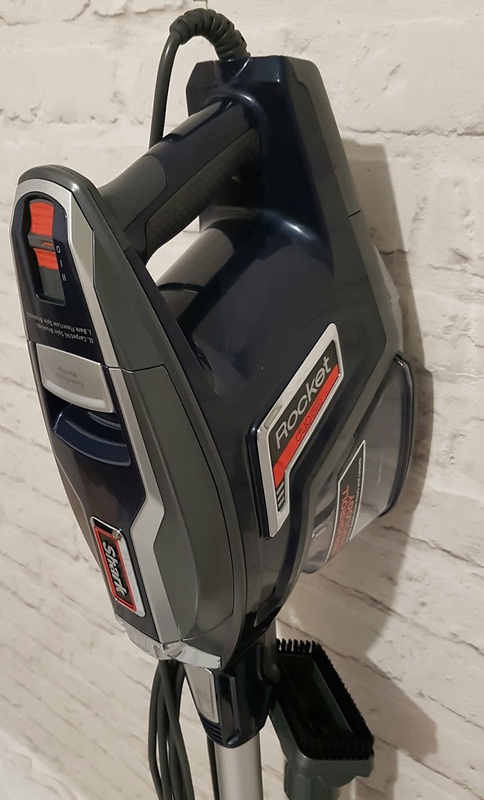 It has certainly reduced my hoovering time that's for sure. 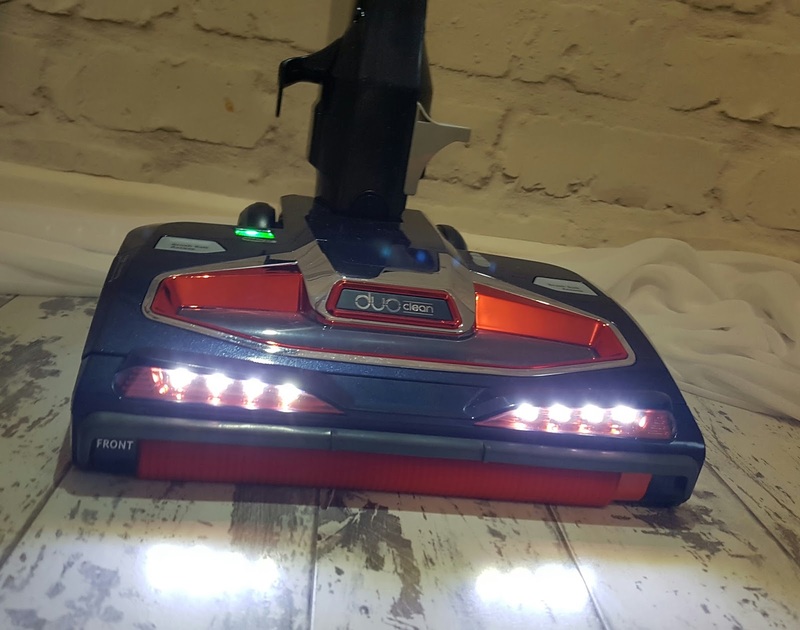 And then if that wasn't enough, to make sure cleaning is of the highest level, the Rocket Complete also has two, fairly bright LED headlights built in to the motorised floor nozzle section. Trust me, you can't miss even the smallest speck of dirt with those shining across the carpet. Now I do have to admit I have always hated hoovering the staircase - it is such a pain having to lug the heavy base up the stairs whilst trying to keep control of it all, stopping it bouncing back down each step and scattering dust all over, whilst the other hand actually takes charge of the cleaning. I hated doing it - but not anymore. And it even has it's own LED, dirt exposing light too. 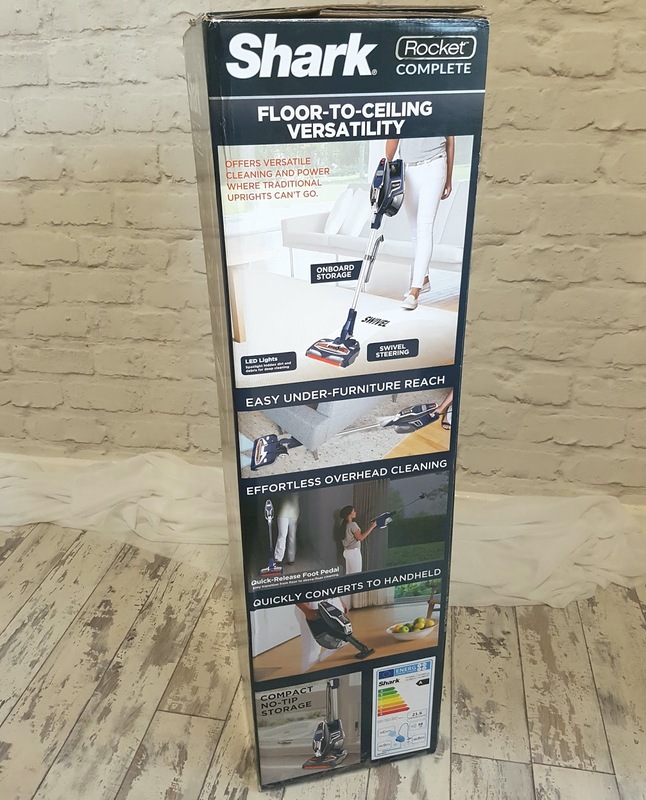 This really is a cleaning game changer. Stairs, door-frames, skirting boards - this cleaning lark is suddenly a blooming doddle. And simply by switching the speed setting, the hoover becomes suitable for cleaning hard floors or deep pile carpets - no messing about, just a simple switch flick. 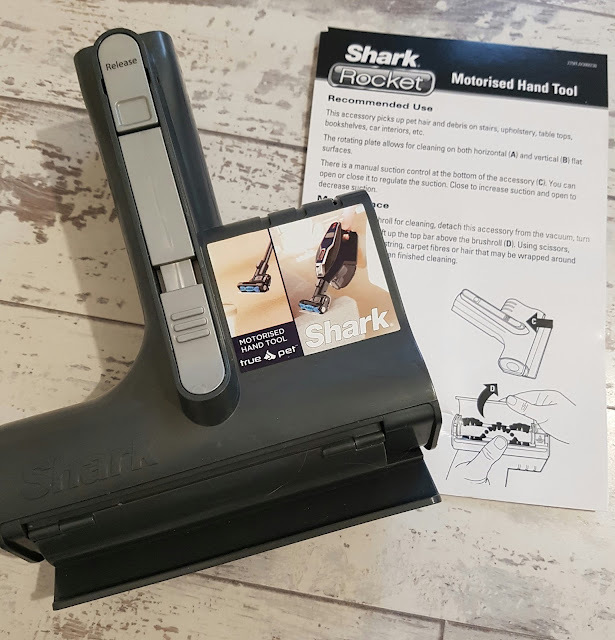 ...and as well as taking up very little space (my tiny, storage less house thanks you for this Shark Clean) it also has it's own drill-to-a-door storage hanger too. I'll tell you shall I? Nothing - or at least nothing I've tried over the years anyway. I really do love my Rocket Complete, and yes, I was sent it to test, try out and review but that has no impact on my opinions at all - I do genuinely rate this product a lot. 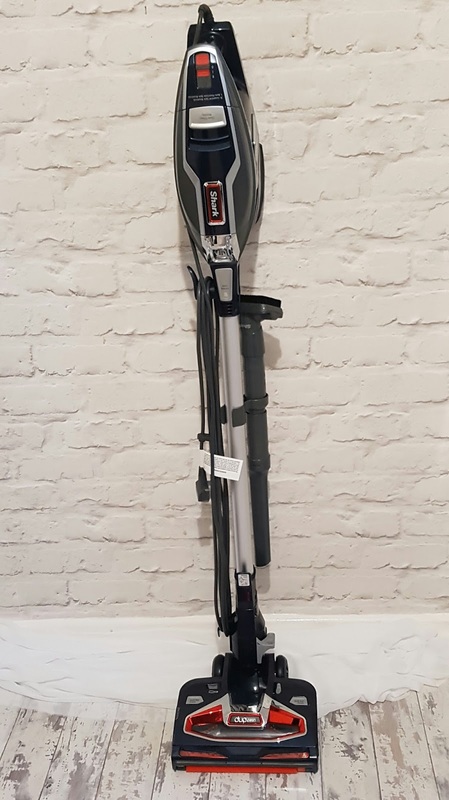 I've even had to fight off the Hubby to get my hands on it to try out - he thinks it's great and I've had more offers of "I'll hoover" this week than I have in the past fourteen years.